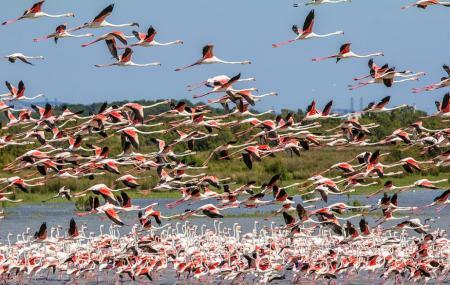 Camargue offers undeniably beautiful landscapes and it’s a privilege to be able to observe its unique ecosystems. Les Marais du Vigueirat is a reserve inside the Camargue National Park and is spread over an area of 1200 hectares. A lovely world of its own with birds, bees and flowers, the Marais Vigueirat is a nature lover’s heaven. There exist two remarkable ecosystems – the Rhone delta and Steppe Plain of Crau. A mosaic of natural wetlands house gorgeous flora and fauna. About 2000 species of plants and animals. The wild Camargue horses run free in the fields. Guided tours on foot and carriages. Nature lovers and bird hike over a stretch of 5kms. The Les Marais du Vigueirat works dedicatedly towards nature conservation and protection. It is a lovely place for picnics and refreshments. A nature shop ensures that you are refreshed and rested. Facility of dog kennels too is available, as pets are not allowed during the tours. Site is accessible to people with reduced mobility/handicap. Free parking is available but precarious. Do not leave anything inside your vehicle. Pets not allowed at the tours. How popular is Les Marais Du Vigueirat? People normally club together Jardin D'ete and Hammam Chiffa while planning their visit to Les Marais Du Vigueirat. Very nice place. The Camargue, on all it's slpendor: horses, birds, bulls, sxamps. Watch out though for mosquitoes and windy conditions. This place we found just by chance, it's a gem we loved it! Large nature reserve but facilities in need of improvement. Everything old. Very good boardwalks and paths, but badly no signs to locate your position on the leaflet map. No link paths, so once you begin you have to complete the circuit. Early April 2018 few species of birds present and those in small numbers, disappointing because of this.